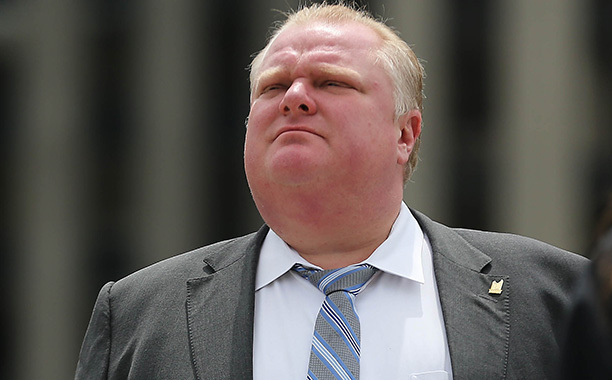 The Redemption of Rob Ford? So, here’s the first thing that happened: I started thinking about the past six months of our mayor Rob Ford; the allegations, the denials, the admissions, the apologies, the frenzy, the whole ugly deal. There is a part of me that was having just as much fun wagging the “I told you so” finger as everyone else. I’m from Etobicoke, from Rexdale in fact, the geographical heart of Ford Nation. I’m not saying this gives me some special insight into the Ford administration – at this point, who knows which tracks that gravy train is running on – but at the very least I feel I can mentally create some tangible connection to the persons, places and things that the national and international media have been reporting on. I’ve been in and around the Dixon area, I have friends that went to Don Bosco high school (one of them even played on the football team). Hell, I have a friend that lives at 5 Windsor Road. The best picture I could find. I swear. This may sound ridiculous, but I spent the week trying to create some basis for empathy with Rob Ford. To be clear, he is not fit to be mayor, he probably was never really fit to be mayor, but we’re all human beings right? We’re supposed to care about one another. Even if, as is the case here, it is getting increasingly difficult to do so. Still, this is a man clearly in crisis, very publicly destroying himself. Just how much cheering on of his self-immolation should we be comfortable with? So I started writing. That’s the second thing that happened. And I started thinking about the move we were making towards a slippery moral slope. At the time it stood to reason that Ford could perhaps hold onto his mayoralty for the rest of the term. He could somehow keep rolling, like that boulder at the beginning of Raiders of the Lost Ark, and eventually make it to election time next year. Similarly, my thoughts rolled on. What if Ford made an effort, started an actual honest-to-God mission to repair his life, deal with his obvious issues, become a better person, man, husband, father, brother, son, whatever. We, as people who theoretically care about other people, should be happy with that, right? We still wouldn’t want him to be mayor – definitely not that – but even his greatest enemies would concede that it would be nice for the scary alternatives (imprisonment, death) to be off the table. And hey, perhaps the city could return to normal. Of course, in my original bit of thinking I started worrying. What if all of our bloodthirsty glee curdled on us, what if the Ford fiasco could turn. Look, people love a good redemption story. We cheer in the sports movie when the trouble-making star player makes the right move, when the deadbeat coach gets his chance to draw up the winning play. It stood to reason that Ford could embrace that narrative. I’m sure he likes a good sports movie, and he definitely understands the notion of the outsider, the underdog. Ford has already assumed that identity to great success (even if it runs against reality). I actually convinced myself that my recurring vision of cheering supporters massed around Ford as he mounted the podium next October was for real. A part of me believed that Rob Ford would fight back against the so-called elitist media and his political opponents. He would battle his own demons and get his life, and administration, back on track. But then Tuesday happened, that was the third thing. And a fourth thing on Wednesday happened. Oh yeah, and Thursday went down as the fifth thing. I had to revise my thinking and rewrite my whole twisted morality tale. Truth, reality, real life, rolled back into the picture. Clearly, Rob Ford isn’t the relentless boulder at the beginning of Raiders; he’s that dumb giant who shows up near the end, the one who thinks he is invincible until that unseen propeller proves otherwise. So now we’re here. I’m really trying to not climb up too high on my horse here. I know I’ve made some jokes on Twitter, and in talks with friends and co-workers, but I’m not entirely comfortable with the whole imbroglio (to be fair, I’m not not comfortable with it, if that makes sense). Ford’s path to reconciliation is lost to him now, those visions of re-election just as illusory, the winning narrative will remain unclaimed. Every Ford public appearance now will be dogged by all of the things that have happened just in the last week alone. Frighteningly enough, that is to say nothing of the past six months or the last three years or the past decade before that. Sorry, Mr. Mayor, the bad news keeps getting worse and it looks like we’re ready to move on, too. The credits are rolling on your particular show. I realize this is small consolation, but I really did try to understand you as the protagonist. 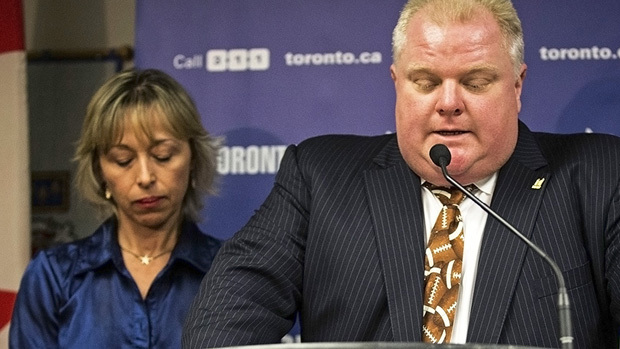 However, for Rob Ford the public figure, there will be no redemption. When Giorgio “Tallest flagpole in North America!” Mammoliti is the voice of reason, the situation has definitely gone tumbling through the looking glass.